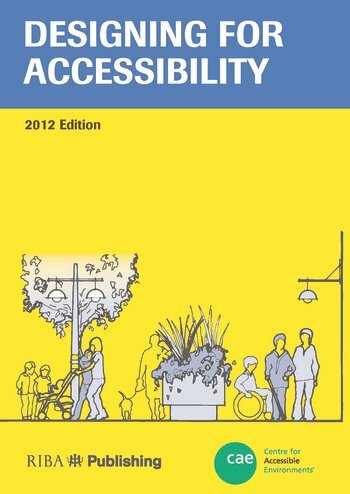 The new edition of the best-selling Designing for Accessibility is a completely up-to-date and user-friendly good practice guide based on Approved Document M and BS 8300:2009 in the context of the Equality Act 2010. Aimed at all those seeking to fulfil their service provider duties under the Equality Act as well as architects, designers, facilities managers and a range of consumers (including disabled people), Designing for Accessibility includes extensive plans and dimensional data illustrating internal and external features that commonly need attention in public buildings. The design recommendations occasionally go beyond those specified in the Part M and BS 8300, reflecting good practice derived from user experience, successful design and, where possible, empirical research. The third edition has been extensively updated, improved, extended and redesigned. It now accounts for the Equality Act (which, among other things, replaced the Disability Discrimination Act) and the 2009 edition of BS 8300. Completely new sections cover shared spaces, Changing Places toilets, accessible baby changing facilities, and light reflectance values. The sections for external ramps and steps, door vision panels and sanitary facilities have been updated. Finally, the sections on hazard warning, entrance and internal doors, seating layouts, platform lifts, communication systems, signage, building management and means of escape have all been extended. Designing for Accessibility is an authoritative guide to the increasingly important concept of inclusive design, providing information that no designer or service provider can afford to ignore.